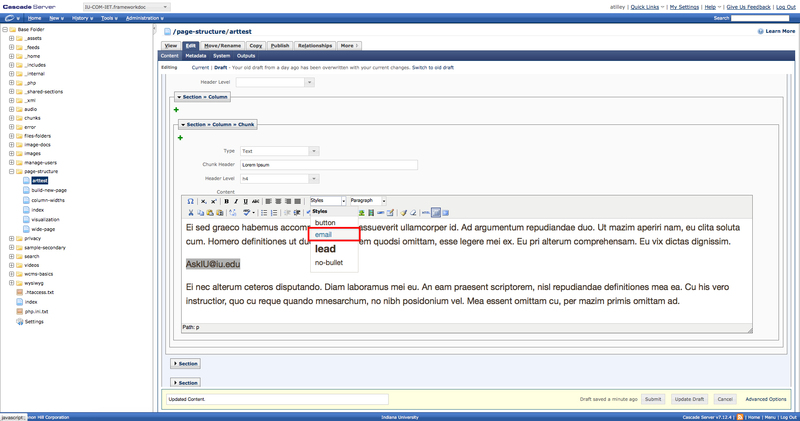 In this section, you'll learn how to use the Email Style tool. It is important to follow this procedure when adding an email address to a website. It's function is to hide the displayed address from techniques utilized by web crawlers and other automatic web serches that seek out email addresses for the purposes of unsolicited bulk email. Step 1: Choose where the email address is going to be placed in the chunk. 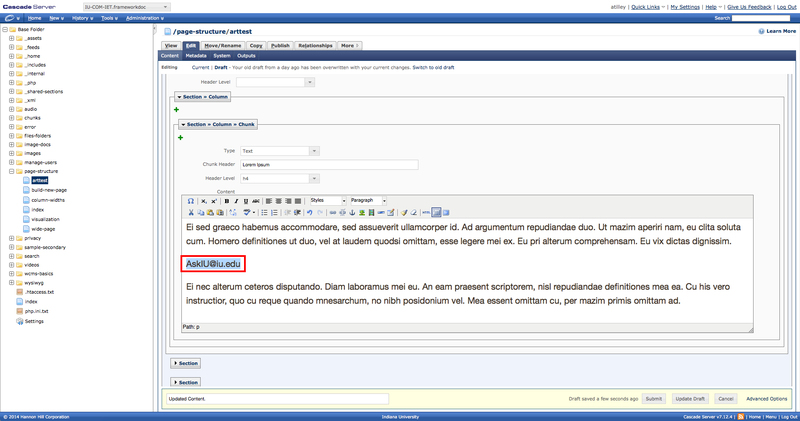 Step 2: Type the address, then select the text of the addres by highlighting the entire thing. 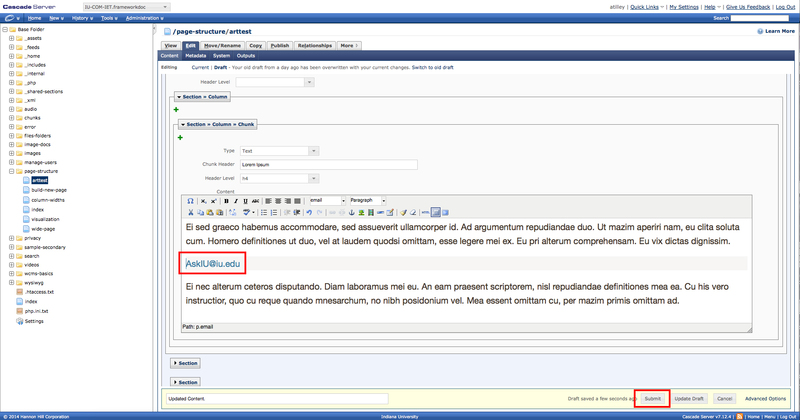 Step 3: Expand the Styles drop down menu and click on the email option. Upon completion, your address will become a link. Step 4: When you are finished, click Submit. Step 5: Remember to publish the page for the updates to apply.